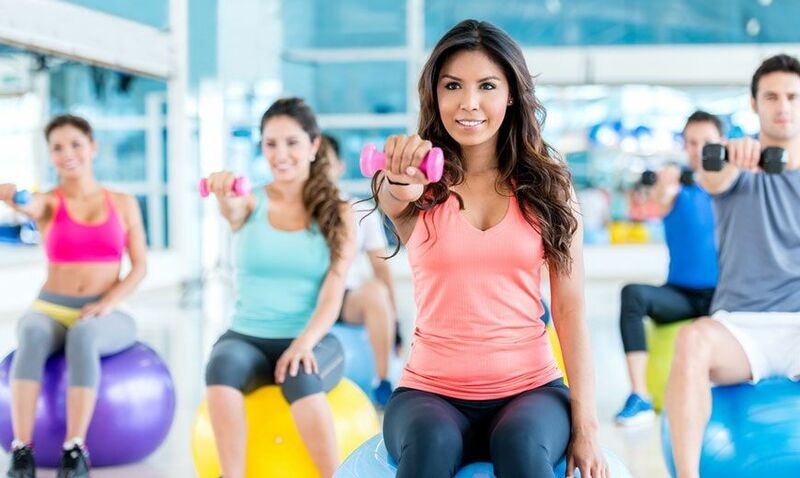 Pilates is a body conditioning routine that helps build flexibility, long lean muscles, strength and endurance in the legs, abdominals, arms, hips, and back. It puts emphasis on spinal and pelvic alignment, breathing to relieve stress and allow adequate oxygen flow to muscles, developing a strong core or center (tones abdominals while strengthening the back), and improving coordination and balance. Pilates’ flexible system allows for different exercises to be modified in range of difficulty from beginning to advanced. Intensity can be increased over time as the body conditions and adapts to the exercises. No muscle group is under or over trained. It enhances core strength and brings increased reach, flexibility, sure-footedness and agility. Keep it simple on the mat, or take your experience to the next level by working with our certified Pilates Instructors in our fully equipped, state-of-the-art Pilates area. Know your body like the back of your hand. Develop core strength, economy of motion, flexibility and agility with our signature Pilates classes or one-on-one sessions. Our instructors will design a program just for you. An innovative system of mind-body exercise evolved from the principles of Joseph Pilates. Pilates teaches body awareness & good posture while increasing core strength, flexibility, & agility.